Spend your holidays with us at Camping Es Pibous***. We are located in Saint-Bertrand-de-Comminges, Haute-Garonne. We have several activities planned to entertain you. Visit us and enjoy an excellent stay in our 3-star campsite for both your summer and winter holidays. We have organised the premises so you can enjoy fun as well as relaxing moments. Several recreational activities are available both on site and in the surrounding areas. Enjoy our outdoor swimming pool with paddling pool, play area and boules court. 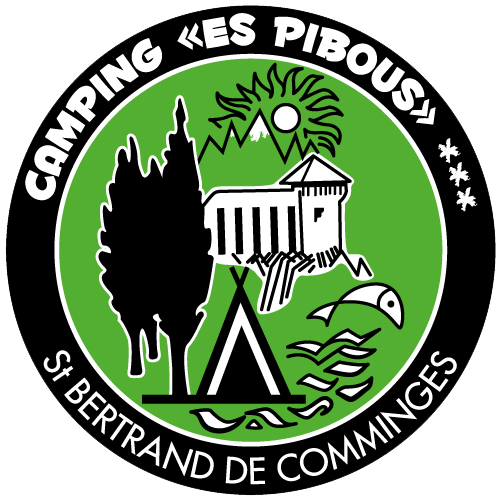 Our campsite is located in Saint-Bertrand-de-Comminges. To enhance your stay, discover the region's tourist attractions and cultural heritage. Visit the natural sites of our valleys and practice various sports activities. If you enjoy extreme sports, you can learn about rafting, white water swimming and canoeing. Mountain biking, hiking and horseback riding around our campsite are also available! During the winter holidays, you can practice downhill and cross-country skiing, sledging, surfing, luge and golf. Visit the surrounding sites while taking part in sports activities. Contact us to book your stay. We guarantee a stay full of experiences and relaxation in one of the most beautiful regions of France, not far from Montréjeau.